Can I Keep my Car if I File Chapter 7 Bankruptcy in Colorado? Can I Keep my House if I File Chapter 7 Bankruptcy in Colorado? By visiting this website, you have taken the first step on the path toward obtaining a fresh start. 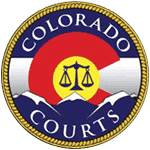 The next step is to call The Law Office of Clark Daniel Dray at (303)900-8598 to set up a free initial consultation with an experienced and understanding attorney at one of our Denver Metro offices. In order to craft a personalized strategy, we offer a free consultation with an experienced and understanding attorney. During the consultation we’ll talk about your current circumstances and your goals, and then we’ll cover each of your options. We’ll compare and contrast, weighing the pros and cons and answering any of your questions so that you have the tools to make an informed decision about the best option for your family. We promise there won’t be a sales pitch, just an honest, accurate discussion about solutions crafted specifically for you. The Law Office of Clark Daniel Dray sets itself apart from most other law firms by giving you the personalized service that you deserve when you retain the services of an attorney. Our clients’ cases are overseen by one attorney from beginning to end. This means your attorney is easy to get in touch with, available to answer your questions, and familiar with your circumstances and the status of your file. By working with a limited number of clients on a focused and interrelated range of matters, The Law Office of Clark Daniel Dray can provide the personalized service and attention to detail that are essential to a successful outcome. At The Law Office of Clark Daniel Dray we understand that no two families have exactly the same circumstances, so when you contact our office you can expect to be given personalized guidance based on the specifics of YOUR situation. We help people find relief from the pressures of debt and peace in knowing that you have a plan for the future by closely working with you to find the best strategy to achieve your goals. While tax debt can be intimidating, an experienced tax resolution attorney from The Law Office of Clark Daniel Dray has many different tools to keep the IRS at bay including Installment Agreements, Currently Not Collectible Status, Offers in Compromise, Chapter 13 bankruptcy repayment plans, and sometimes even the discharge of tax debt with a Chapter 7 bankruptcy. As a result of the recent economic downturn, millions of honest, hardworking families have found themselves in a position where they are no longer able to manage their debt. Unfortunately, many people are worried and confused by misinformation about debt relief, bankruptcy, and foreclosure. They may feel intimidated by threats from debt collectors. By not taking action they needlessly continue to suffer the stress and financial hardship of excessive debt and put the things they value most at risk. Bankruptcy Lawyer Clark Dray will walk you through all of your options for dealing with your debt including debt settlement, debt repayment plans, debt litigation, Chapter 7 bankruptcy, and Chapter 13 bankruptcy to find the best fit for you so that you can put your debt behind you and enjoy a fresh start. 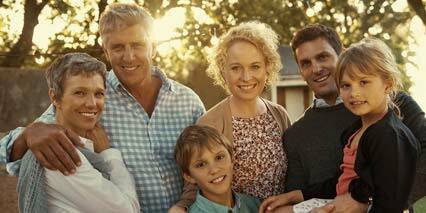 Simply put, Estate Planning is the process which provides answers to two important questions: Who gets what? (Disposition of Assets) and Who makes decisions for me when I’m not able to do so? (Planning for Incapacity). Denver Estate Planning attorney Clark Dray work closely with you to craft a comprehensive Estate Plan which provides for your loved ones, minimizes taxes, and ensure that your wishes are carried out in the event that you can’t see to them yourself. We guarantee that you won’t be subjected to any sales pitches or pressure, just a relaxed meeting to talk about your options with an attorney who truly wants to see you get the fresh start you’re entitled to. They are so helpful and honest!! He will tell you if you need bankruptcy or if an easier option is better. He helped us through the whole process if your debating about bankruptcy you should call here! Clark helped me with my bankruptcy and I was very happy with his service. He made it so I could make payments to him over time, and there was no pressure to get the fees to him sooner than I could manage - I just had to wait start the processing until all fees were paid. During the process Clark was helpful in answering all my questions in a timely manner via email, and his availability to meet to exchange paperwork was very flexible. He made the whole process pretty painless, which is nice when you're going through something not so pleasant. I would definitely recommend Clark for anyone considering a bankruptcy. Clark Dray made my Chapter 7 Bankruptcy go much smoother than expected. It was the last thing I wanted to do but Clark made the whole process much easier and affordable. He responds quickly to phone calls and emails. I highly recommend him if your thinking about filing. I am not surprised at all by the fact that this gentleman has five-star reviews from every person that has commented on his extensive knowledge and expertise it clearly shows from the discussion I had with him. He was very patient and knowledgeable and kind with me. I had a great deal of questions and several issues I've been trying to deal with. Being treated with respect and not talked down to etc is very meaningful when trying to broach things that can be a difficult to discuss. I just wanted to show a little praise and appreciation for the time he offered and certainly say I think he is well worth considering. Clark was very knowledgeable and helpful throughout the process of filing for bankruptcy. I never felt as though he was pushing me to file for bankruptcy as opposed to other options for getting out of debt, he simply provided me information about how the bankruptcy process works. I was very confident going before the trustee with Clark because I knew that he had worked to cover all of the bases and that we had answers for any questions the trustee may have asked. Even after my debts were discharged he has still been very helpful and quick to answer any questions I have had. Clark was fantastic!!! He was always available to answer any questions and is extremely knowledgeable with everything. Thank you Clark, for helping us turn our lives around!!! I contacted Clark Dray back in july. After meeting with him and going over my Bankruptcy case i hired him. I was very pleased with the service he provided. He was honest and my case went smooth no suprises. I was a first timer with a bankruptcy the whole process was not stressful at all. I would RECOMMEND him to everyone looking for a honest attorney! Clark and his Team are incredibly professional. He is very knowledgeable and helpful. They were kind and I would recommend the Law Office of Clark Daniel Dray to all my friends and family. 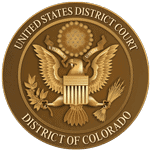 The Law Office of Clark Daniel Dray is an affordable Denver bankruptcy law firm which can stop foreclosure, garnishment, repossession, and debt collector harassment with chapter 7 bankruptcy, chapter 13 bankruptcy, debt consolidation, and debt settlement. We are a debt relief agency and help people obtain financial relief by filing for personal bankruptcy under Chapter 7 and Chapter 13 of the U.S. Bankruptcy Code. This web site is designed for general information only. The information presented at this site should not be construed to be formal legal advice, and contacting us does not create an attorney-client relationship.